Abstract: The perinatal period is the most crucial phase of life for both the parent and the fetus. The physiological changes that occur during stress and anxiety are rooted in the activation of the hypothalamic-pituitary-adrenal (HPA) axis. The dysregulation of the HPA axis adversely affects fetal growth as well as development and birth weight during the gestation period. Reducing stress during pregnancy will benefit the mother and minimize potential adverse postnatal outcomes. There are various techniques to aid in reducing stress and anxiety as well as ease the distress experienced during pregnancy. 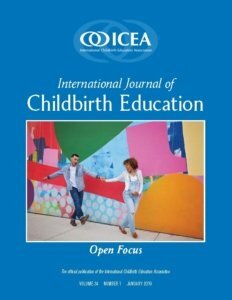 Please view our journal to read the full article, and other articles in this quarter’s International Journal of Childbirth Education. You must be logged in to your account to view the Journal.